Financing That New Air Conditioning System With a PACE Loan? Better think twice! 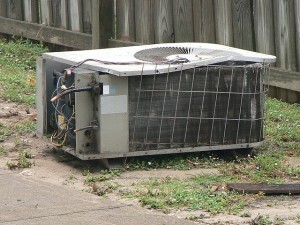 Your air conditioner is old, inefficient, or maybe one day when the mercury hits 110 degrees it just quits. So you start calling around getting estimates to have it repaired. Two or three companies come out and take a look at your system and they advise you to replace it with a new, more efficient system. Makes sense right? Wow! Look at your energy savings over time. Why, at only $10,000 total cost installed, this system will pay for itself in ten years! But maybe you don’t have $10,000 to buy a new system. Or maybe you think you might move in a few years and yo u just don’t see the benefit of paying $10,000 for a system that you will only use for two or three more years. Just then the representative of the heating and air company tells you about this amazing new program called PACE. P.A.C.E. 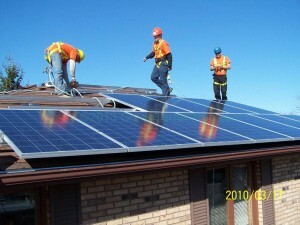 stands for Property-Assessed Clean Energy. It’s GREAT they tell you. You can spread out the cost of the system over 20 years. Best of all, a PACE assessment is a debt of property, meaning the debt is tied to the property as opposed to the property owner, so the repayment obligation transfers with property ownership. “How awesome is that” you think to yourself. I can have all the benefits of a new system for as long as I live here. Then, when I sell the property, the remaining balance of the debt for the system just transfers to the new owner. Seems like a no-brainer right?… Better think again. Many if not all of the most popular heating and air and mechanical companies are using this PACE program to sell systems to unsuspecting homeowners all over our area. This goes double for the solar companies. In fairness to some of these companies, the sales people may not even be aware that the “benefits” of PACE financing that they are touting are essentially pure fantasy. Let’s take a look at these “benefits” shall we? t market value when it still has an unpaid PACE balance? If the comps say your property is worth $250,000, that number would include a working HVAC system would it not? The buyer is not going to give you an extra $10,000 for that house by buying it with the unpaid PACE balance just because it has what it should have had all along. g to have to pay off that PACE bond. So here’s where you might want to read the fine print. In addition to a 2% to 3% origination fee, many PACE loans have a hefty prepayment penalty. On one of our listings the prepayment penalty was $500 on a $12,300 bond. Oh… and just to get the transfer paperwork started there is a $100 fee. Benefit Number Two – You get to spread the cost of the system out over 20 years. No exactly. Let’s take the example of a $10,000 HVAC system. What you are really doing is tacking on about $2,300 in financing fees to the system. So right there you are at $12,300. Then you get to pay for the money over 20 years billed every 6 months with your tax bill. By the time you have it paid off you are at about $27,000 give or take. So you are not “spreading the cost of the system over 20 years. You are spreading more than twice the cost of the system over 20 years. I don’t know… it could just be ignorance that explains the zeal with which the energy industry salespeople are pushing the PACE nonsense. But somebody somewhere knows what is really going on. What really pisses me off about this is that the most vulnerable homeowners tend to be either lower income homeowners or the elderly on a fixed income. Homeowners with higher incomes tend to just buy a new system when they need one. But lower and fixed income homeowners often jump on these misleading promises only to find themselves stuck later on. Is the PACE program wrong for everyone? No. 1) If you NEED a new HVAC system or some other PACE qualified system ( hello… converting to solar is not something you need) and 2) if you do not have any other options to pay for that system and 3) if you plan to stay in your home for the entire term of the repayment schedule and 4) you understand that you will most likely have to pay off the PACE loan at close of escrow if you sell your home prior to retiring the principal balance on that loan… maybe it could make sense for you. Somehow I doubt that is what homeowners are being told by the salespeople pushing PACE financing.